Why Mix At The White House? It’s all about the experience of the engineer, quality of the audio tools and the accuracy of the control-room monitoring. Pro Tools HD is the perfect platform here, giving unrivaled flexibility and 100% repeatability. Coupled with the exceptional range of top quality plug-ins (all purchased and up-to-date; no unreliable ‘cracks’) the possibilities for sonic sculpting and enhancement are almost limitless. Monitoring is through full-range main speakers, Genelec mid-size and Auratone near-fields (‘monitors for the real world’), also top quality headphones, all driven from a Benchmark DAC for absolute accuracy and transparency. Direct comparison with a reference CD of your choice is possible and actively encouraged, to keep the whole project on the right track. Good engineers always place mics on instruments and record with the final mix in mind. Our close attention to such detail means that mixing a session that was recorded at White House will generally yield the best results in the shortest possible time. Indeed, working with Pro Tools it is possible to save the ‘monitor’ mix for each song during the track-laying process. This gives a decent starting point for the final mix, saving time and so making the most of your budget. For those who prefer to record as much as possible at home or who are collaborating with performers across the globe, importing sessions for the quality mix treatment at The White House is usually very straightforward. 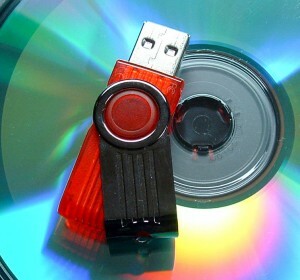 Pro Tools sessions can be opened directly from an external hard drive or memory stick, or uploaded via the internet. For Logic, Cubase and other digital platforms, files can be exported as WAV, BWAV, AIFF or SDII. Home recordings frequently suffer from problems which go unnoticed until heard through full-range monitor speakers in accurate acoustics. The most common issues include poor sound from the use of budget mics or poor mic placement, vocal ‘pops’, recordings made in less-than-ideal acoustics, excessive ‘spill’ between instruments or extraneous noises, clicks and distortion. Several specialist plug-ins are on hand to overcome all of these issues with minimum fuss and to obtain the maximum fidelity for your mix. 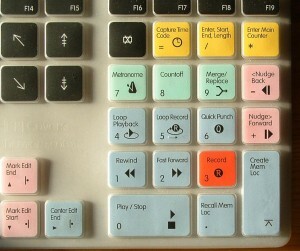 The improvements can be dramatic, and cleaned-up tracks can also be exported as multi-track files for archive purposes, in addition to the final stereo mixes. Many PA companies offer multitrack recording directly from the house mixing desk, and such live recordings can also yield excellent results with careful mixing, whether for CD release or video soundtrack. Most audio file formats can be accepted, and we can transfer ADAT tapes or Alesis HD24 hard drives to Pro Tools entirely digitally for maximum fidelity. Live recordings also benefit enormously from some careful ‘cleaning up’ of the multi-tracks prior to mixing, using the selection of specialist problem solving plug-ins on offer, augmented by precision editing. Speech editing is more involved that might be imagined: excessive breath and mouth noises can be very annoying when there are no instruments to hide them, and proper pacing, inflection and spacing is very important for the meaning of the words to sink in. Again, our engineering experience and attention to detail show in the final product.